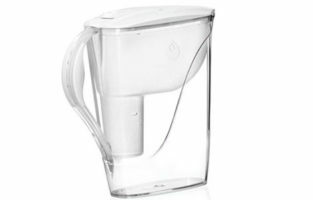 With the Kaz PUR 7/5 Cup Water Filter Pitcher you do not have to overpay in order to have a very decent jug to cleanse your drinking water. The model has its advantages and disadvantages but in terms of serving a certain purpose, it really does a great job. 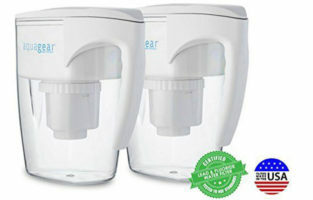 It is seen by the name of the product that it comes in 2 sizes. 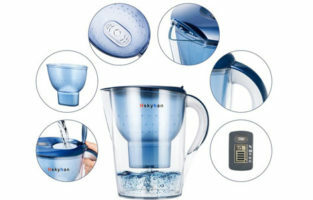 The larger one is a typical 7 cup water filter pitcher but Kaz has also decided to create a smaller jug for specific needs. 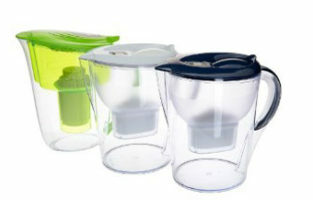 The 5-cup variant is excellent if you have a smaller fridge or space in the kitchen is scarce. 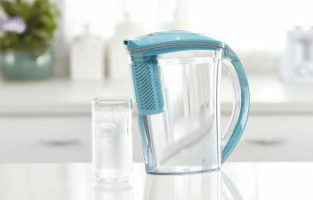 The smaller water purifier pitcher is also great to take on a picnic or during traveling. 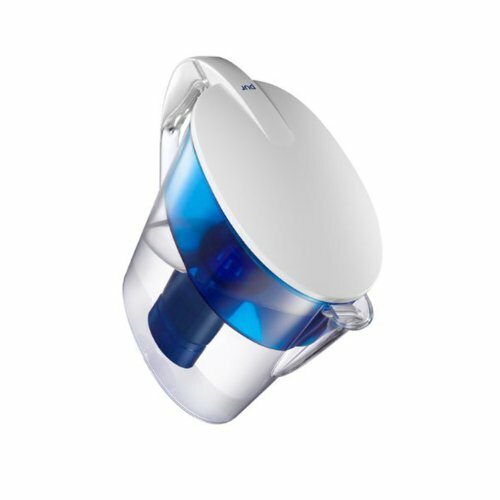 There is a complicated technology embedded in the filtration system although it has to be said that the effectiveness is definitely not mind-blowing. The filter consists of carbon and ion exchange. It contains coconut shells which are heat treated with steam for better functionality. The component is also fully recyclable. 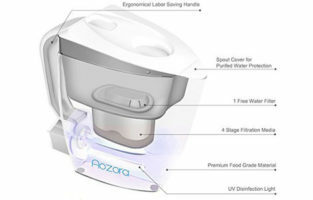 It will remove the chlorine taste and 99.9% of microbial cysts – that’s where it shines. 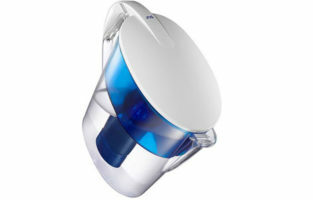 On the downside, though, the filter of the Kaz PUR Water Filter Pitcher will let fluoride to pass through. 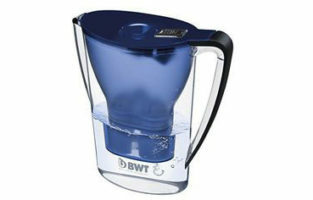 It also does not do a great job against heavy metals contained in water. It will reduce their quantity but will not abolish them completely. The life of the filter is also pretty expected. It will last for about 40 gallons or 2 months. 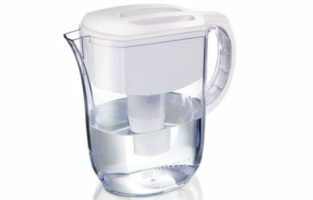 As always, the duration isn’t as important as the amount of water that goes through the filtration system of the jug. 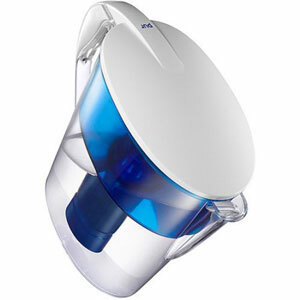 The 5-cup version of the Kaz PUR Water Filter Pitcher has its pros and cons and they are all related to its size. A smaller product can be portable and that is definitely increasing the convenience factor. It is hard on the filter, however. 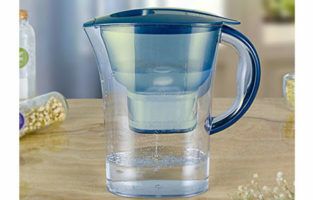 A smaller jug gets empty quickly and this means intense refilling. In this case, the filter might not last for 40 gallons of water but way less than that. This means you will need to spend more on replacement filters. 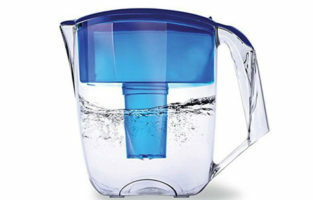 Another design flaw is the size of the base of the water filter pitcher. It happens to be way smaller than the top part. Additionally, the lid makes the whole construction very top-heavy and there’s always the danger of tipping the jug over. 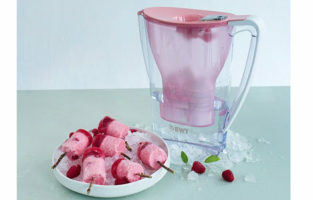 If there is water to hold it down, it typically stays up, but when empty, the product isn’t stable at all. Add the thin walls to the equation and you run the danger of damaging or even breaking your pitcher if it falls off a counter or a table. At least changing the filter isn’t a pain. Such a light contraption can be taken apart easily and after the filter has been replaced, everything falls into place nicely. 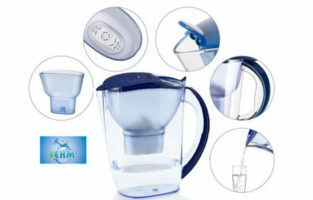 If you are looking for a jug which is easy to maintain, then that’s your item. 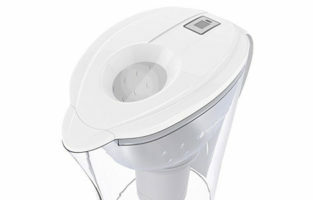 It is best if you wait for all the water to drip down from the filter to the clean water compartment. That’s because nothing will stop the water from spilling from the top reservoir when the jug is tilted. 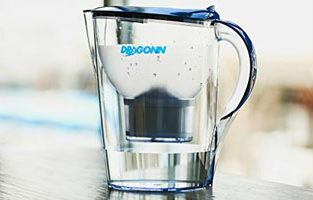 If that happens, you will mix unfiltered with clean water which kills the whole purpose of the pitcher.